Identity Theft: Your Good Name Gone Bad! Download "Identity Theft: Your Good Name Gone Bad!" Get back your good name. Refuse to be a target of identity crime again. Facts and Statistics A Wall Street Journal poll asked Americans what they feared most in the new millennium. Privacy came out on top, substantially higher than terrorism, global warming and overpopulation. IDENTITY THEFT. Public Advisory. This Public Advisory is a publication of the Nassau County Police Department. Public Advisory 0312 This Public Advisory is a publication of the Nassau County Police Department. For further information, call the Nassau County Police Department Public Information Office at 516-573-7135. I AM A VICTIM OF IDENTITY THEFT. NOW WHAT?? ARE YOU A VICTIM OF AN IDENTITY CRIME? ID Theft Victim Toolkit. Information provided by the North Carolina Department of Justice. Updated August 2006. 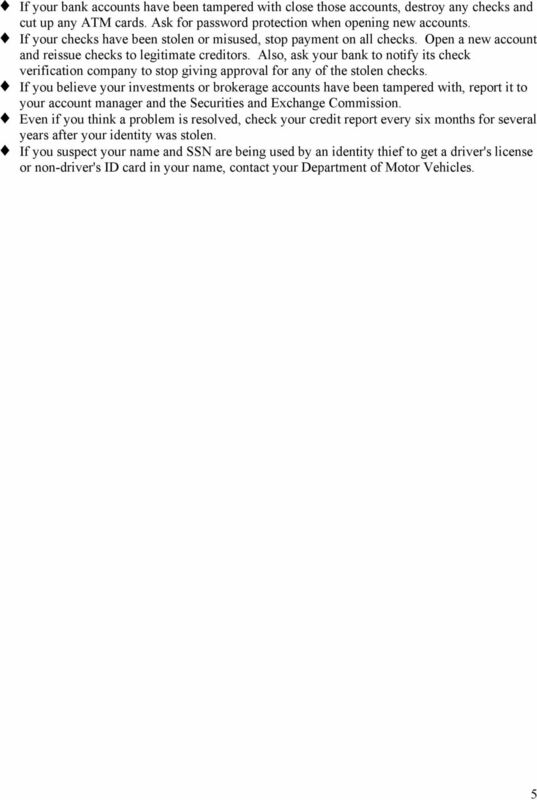 OHIO S IDENTITY THEFT VICTIM ASSISTANCE KIT A guide for victims of identity theft, detailing what to do and who to contact. 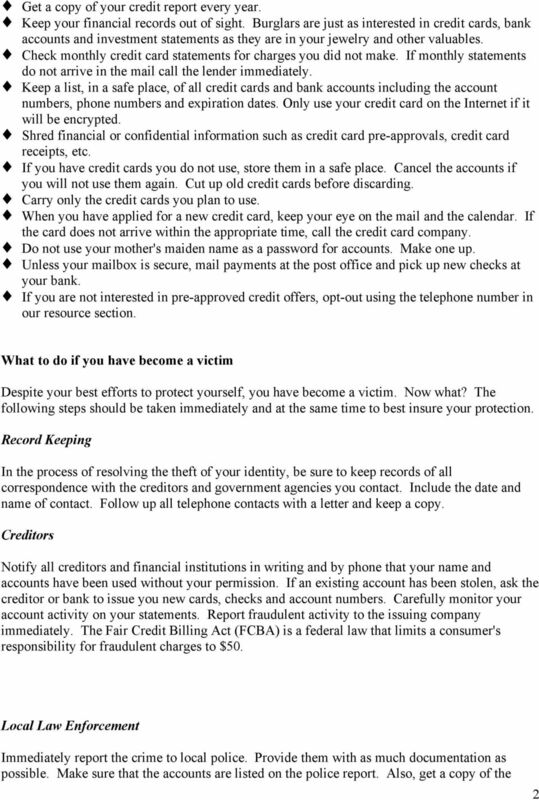 OHIO S IDENTITY THEFT VICTIM ASSISTANCE KIT A guide for victims of identity theft, detailing what to do and who to contact. 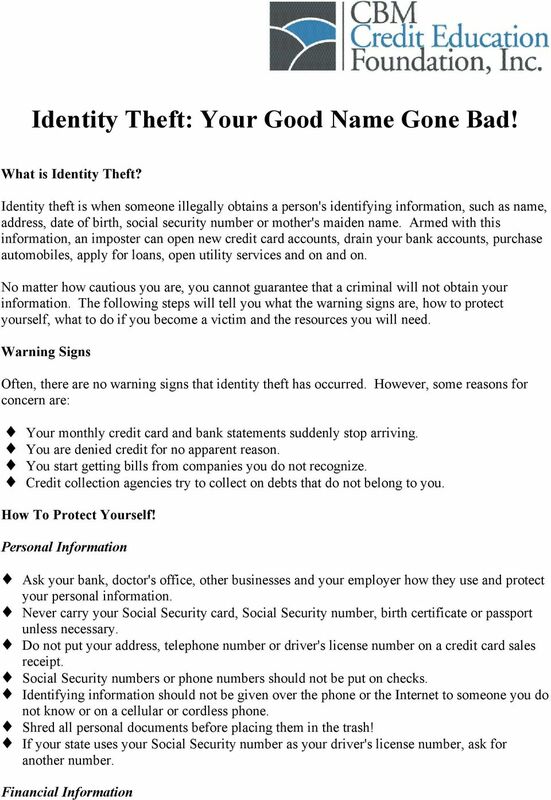 Identity theft has become one of the fastest growing crimes in the United States. What is it? How does it occur? How potentially devastating it can be? How do we detect fraud? How can we minimize the risk of being victimized? IDENTITY THEFT & PREVENTION Bucknell University Department of Public Safety Identity Theft Learning Objectives What is it? How pervasive is it? How does it occur? How potentially devastating it can be? We are writing to you because of a recent security incident which may have resulted in unauthorized access of your personal information. IDENTITY THEFT: What to do if it happens to you Copyright 1997-2003. 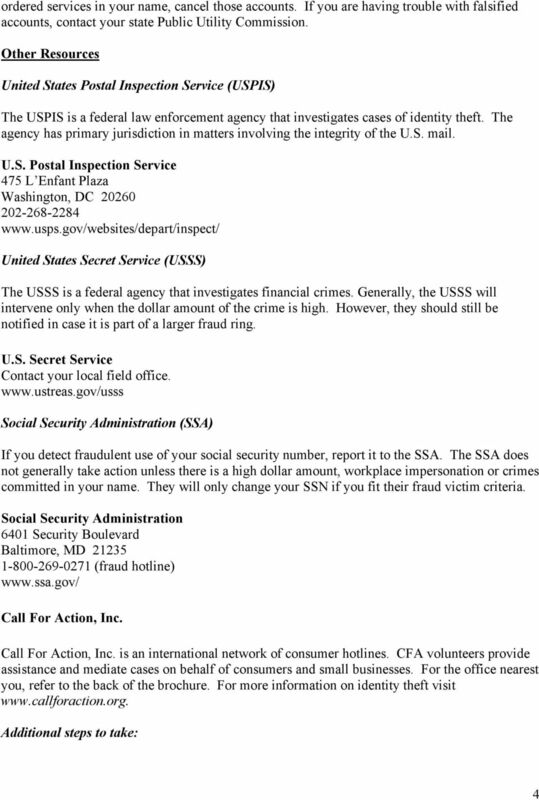 Utility Consumers' Action Network / Privacy Rights Clearinghouse and CALPIRG Charitable Trust. Released Jan. 1997. Revised April 2003. 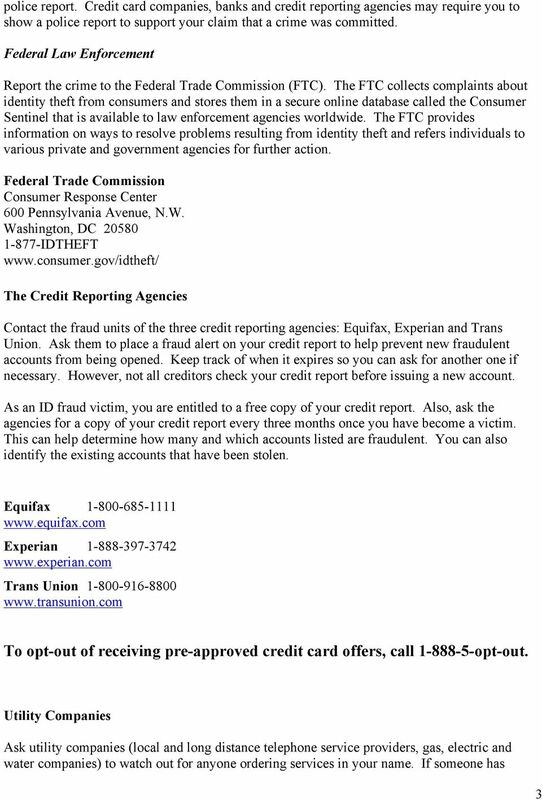 Identity Theft Solutions Your wallet is missing. Thousands of dollars have been charged to your credit cards, your checking account is empty, and loans you never took out appear on your credit report.